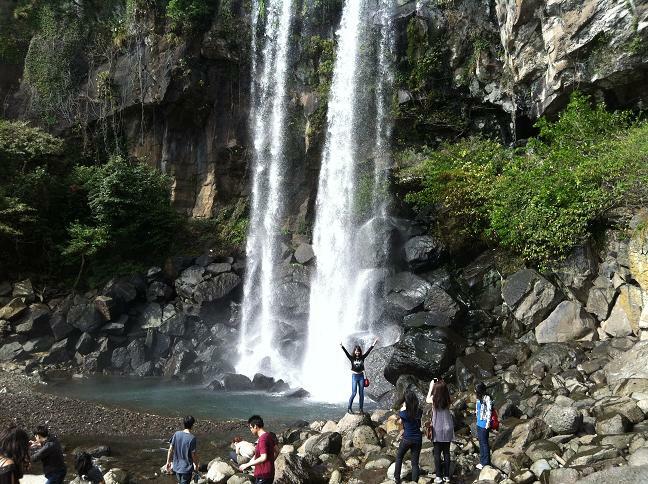 What I really like about Jeju Island is that there are so many natural and breathtaking sites that you could explore particularly waterfalls. 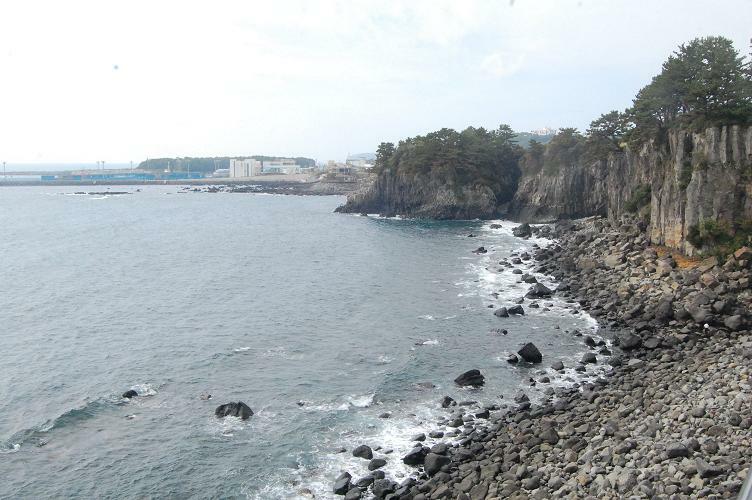 If you could spend at least a week in Jeju Island, I strongly suggest that you walk through the ollegil courses where you could enjoy this natural scenic views. 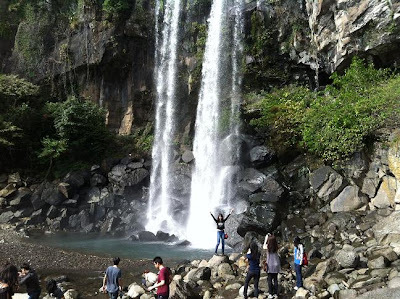 Although I visited Jeongbang Waterfall (the only seaside waterfall in Asia) with a chartered taxi which cost 100,000 won for 8 hours and split the total with another 2 friends; it was worth it!! 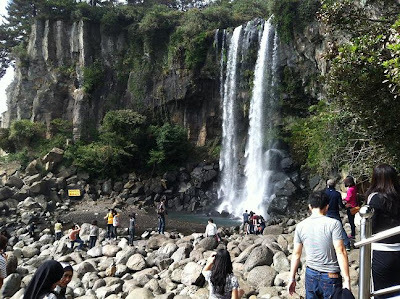 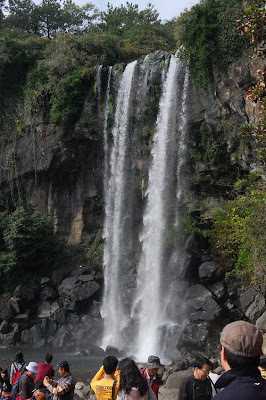 The waterfall is located around Ollegil Course 6; if you decide to be a little bit more adventurous..by walking I mean hehe. If you understand Korean, you can check this blog here for more descriptive story. 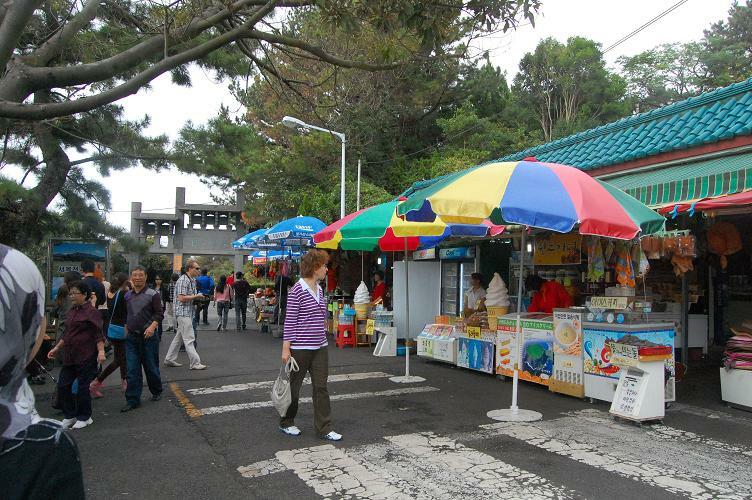 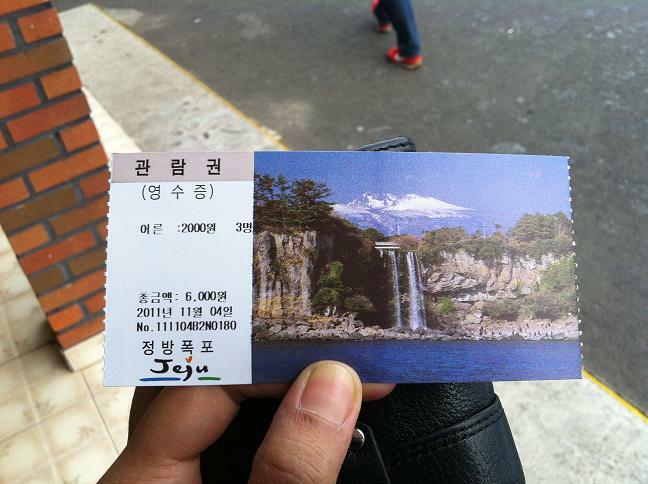 are currently FREE due to Jeju is listed as 7 Wonders of Nature. I wish that I could have Jeongbang waterfall all for myself. 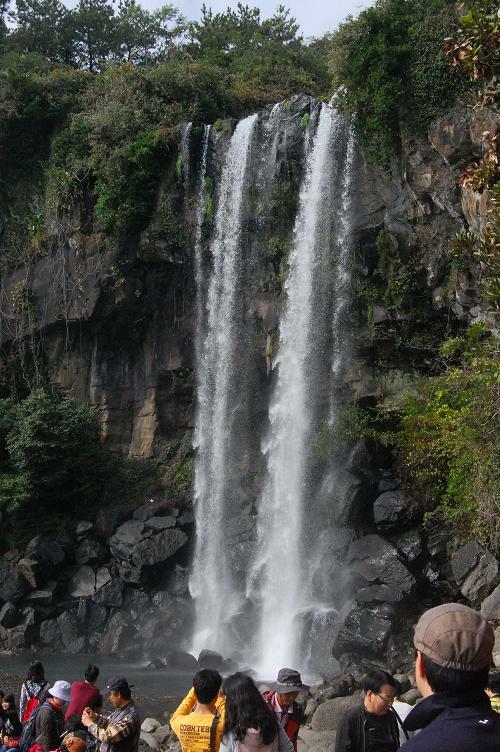 shaolin trained under the waterfall to clear their mind. 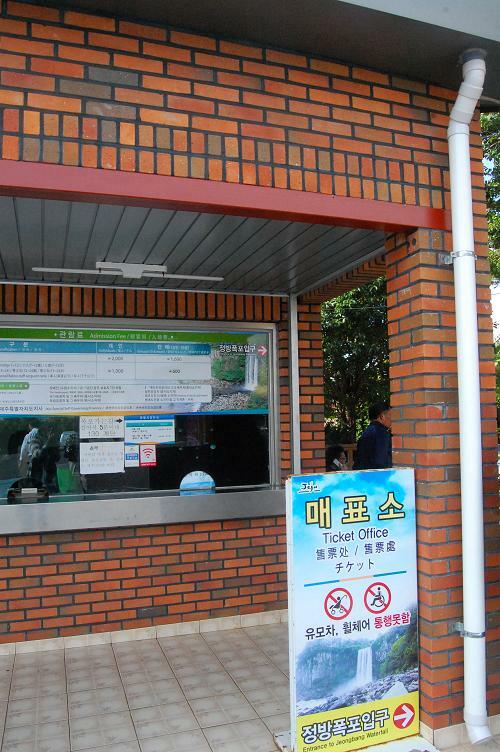 Check out more info by KNTO and Jeju Olle Course.